O fotografie macro deosebita,bravo Robert.Un blur super. I know this is a really difficult thing to capture. 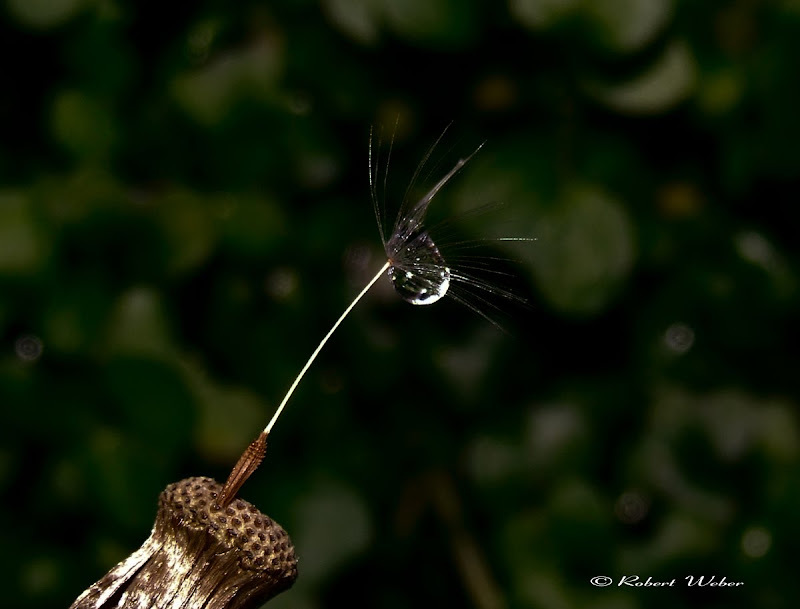 The dandelion seed is so very, very fragile. I love the green background and the "darkness" in the shot. Very well done, Robert. I love the "darkness" in this shot too. And I know how strong Dandelions are. Her you talk macro Robert!! what a wonderful picture :-) dreaming beautiful. Great shot of this lonely strand. Querido Robert...tienes un don maravilloso. Gracias por compartirlo tan generosaente.